With so many therapies and techniques available these days we thought we should feature a classic that so many of us forget the therapeutic powers of. Come to our Brighton store to find out more..
Indian Head massage releases tension in the head, neck, shoulders and arms. It works by relaxing muscle tension in these areas, increasing blood flow and rebalancing the upper three Chakras. If energy flow is blocked in these chakras it can have a negative effect on the whole person – physically, emotionally and spiritually. Chakra is the Sanskrit word meaning wheel or vortex. 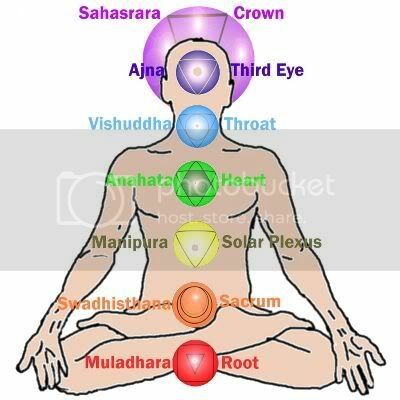 It consists of 7 energy centres which regulate the flow of energy around our bodies. This energy cannot be seen physically but is in aspects of our counsciousness and we can learn to connect with it if we choose. How the energy flows reflects the way we respond to our life circumstances and interacts with our physical body through the endocrine and nervous systems. When you experience tension or stress in your consciousness you feel it in the physical body and thus the chakra associated with the part of your consciousness experiencing the stress. This tension in the chakra is detected by nerves and if he tension continues over a long period of time or is a high level of intensity the person may create a symptom on a physical level. Today’s Indian head massage combines the traditional Indian and western style to give maximum benefit. It has been found that rebalancing the three upper chakras (crown, third eye and throat chakras) has a positive effect on the whole energy system, thus calming and restoring the body, mind and spirit. If you still are unsure, come into our Brighton store and one of our Therapists will be happy to advise. Massage improves blood circulation – With massage, stress is relieved through the manipulation of body’s soft tissues. The massage therapist uses his fingers, fists and feet to apply long, smooth strokes and kneading movements to improve blood circulation in the muscles. It brings in fresh nutrients, releases accumulated toxics and strengthens muscles. Relieves tension – Expert massage therapist recognizes differences in firmness and tightness at different places of the muscles and adjusts pressure accordingly to loosen the tension spots. Massage relaxes and revives the muscles gone flaccid due to tension. It smoothens and loosens the spots gone stiff due to stress. Increases oxygen flow – Massage helps in purging the body of toxics accumulated due to long periods of stress and tension. It causes more oxygen to flow in the body, which helps the body to revive and re-build itself. Clears the mind – Increased tension makes you incapable of thinking clearly. After a soothing and revivifying session of massage, delivered in tranquil surroundings – the soft lights, soothing music, pleasant aromas of massage oils; the massage, delivered at the hands of an expert masseur, clears your mind of exaggerated anxiety and makes you capable of thinking with an unclouded mind. When you are bodily and mentally relaxed, you are capable of taking a more balanced and fresh perspective of your life situation.